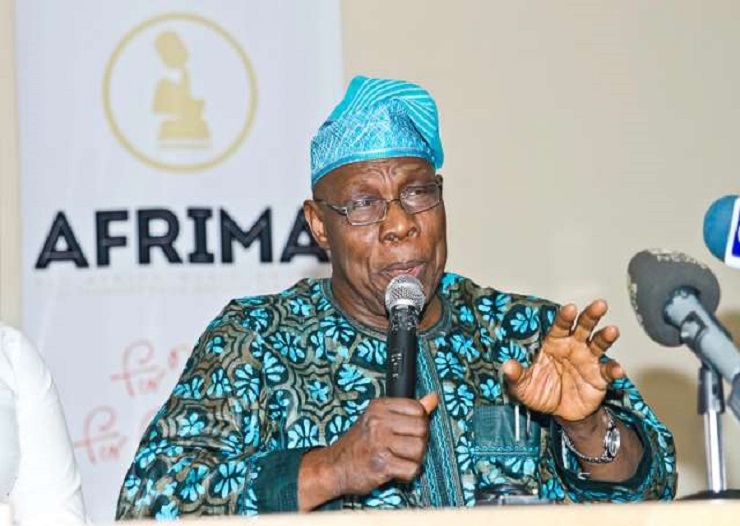 Top leaders of the Peoples Democratic Party (PDP), including members of the party’s National Working Committee (NWC), will on Saturday meet with former President Olusegun Obasanjo. The parley, Naijasimple gathered, is aimed at consolidating strategies aimed at ousting the ruling All Progressives Congress (APC) from power in 2019. Ahead of the meeting which will be held in Abeokuta, the Ogun State capital, PDP chieftains led by the National Chairman, Prince Uche Secondus, arrived yesterday. Secondus was accompanied by the party’s Board of Trustees (BoT) Chairman, Senator Walid Jubrin, former Deputy National Chairman (South), Chief Olabode George, and former Senate President, Senator Adolphus Wabara, among others. The delegation was received by the Ogun State chairman of PDP, Hon. Sikirulai Ogundele, and a House of Representatives member, Hon. Oladipupo Adebutu who, with other chieftains, briefed the national leaders about the state of affairs in the state. Secondus, while confirming the scheduled meeting with Obasanjo, restated the commitment of the PDP to take over reins of government in 2019. The national chairman explained that the opposition party had now been rebranded and repositioned, adding that Nigerians are yearning for the return of PDP to power. He said: “We are happy to be here and our mission is to come and consult with our father, our hero and father of this nation, President Olusegun Obasanjo. The meeting will take place tomorrow. “He is a warrior, he is a winner. The man who fought the battle and won, military and civilian. That’s exactly what we are here to do.” Secondus, who expressed dismay over the myriad of problems in the country, accused the President Muhammadu Buhari-led administration of misgovernance and corruption. He chided Buhari and the APC for allegedly withdrawing the returned $322million Abacha loot and distributing it to those he described as “cronies.” While warning against mismanagement of the fund, the party chairman threatened that Buhari and officials of the incumbent administration will be held accountable for its spending. He argued that it was wrong and fraudulent to expend the looted funds without capturing such in the nation’s budget. Secondus said: “The mother of all corruption is currently happening in this government. The Abacha loot; the money has been withdrawn from the bank and Federal Government is distributing cash. Is that how to run the economy of a nation? “We just want to assure Buhari and the APC that they will be held accountable for every kobo spent. There is no government that will put money in basket and be sharing it. PDP government that will take over in 2019 will ask them to refund the money. “You are fighting corruption on one hand and you are engaging in corruption on the other hand. This government is in trouble. They have no choice; they are weak and they have nothing to offer.” On the Ekiti governorship election, Secondus expressed confidence in the ability of the PDP to record victory, stressing that the party would not succumb to intimidation under whatever guise. He said: “We are aware that the Federal Government is doing all it can to take Ekiti by force but God will not allow that. Two days ago, there was a civilian coup in Ekiti but by the grace of God, normalcy has returned. “The country is going through a lot. The entire nation is waiting for PDP and we will not disappoint them. It is time for our people to take their destiny in their own hands. No amount of intimidation can stop the will of the people. The voice of the people is the voice of God.” Notable officials of the party in attendance included the Deputy National Chairman (South), Elder Yemi Akinwonmi, National Vice Chairman (South West), Dr Eddy Olafeso, National Publicity Secretary, Kola Ologbodiyan, and Chief Onyema Ugochukwu. At a time you PDP are in control of all government machinery you lost in an election, now that you are crippled, you will only perished. APC is everyday becoming stronger.